Sony have cemented themselves as the E3 lords of hype over the years. E3 2018 is no different, where they’ve shown a lengthy gameplay trailer for Sucker Punch’s upcoming Ghost of Tsushima. Believe me when I say this is one of the most incredible gameplay reveals I’ve seen at the conference, so be sure to check it out below. The trailer depicted the player character, Jin, engaged in combat, horse traversal, dialogue between characters, and a stealthy mission that has got our hype levels maxed out. The visual are simply gorgeous, with the hills and fields of Japan truly shining in this trailer, and the fire red hues surrounding the burning battlefield at the end of the clip create the most beautiful fight scene I’ve ever seen. Action and stealth are beautifully blended and give an exhilarating look at what we’ll be experiencing in Ghost of Tsushima. Feudal Japan has never looked this good. We’ve been excited for Ghost of Tsushima since the reveal at Paris Games Week 2017. 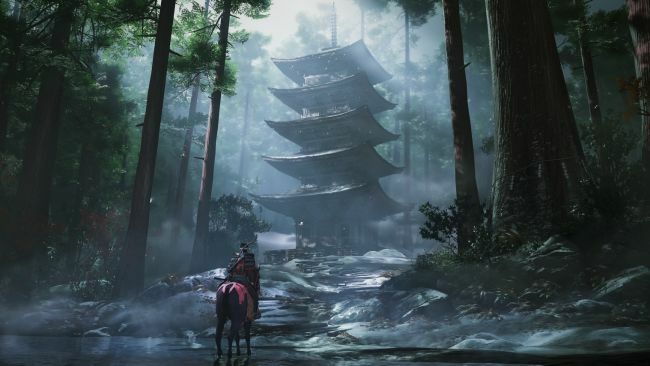 There is no release date set for Ghost of Tsushima as of yet, but we are eagerly awaiting news of when the Playstation 4 exclusive will drop.